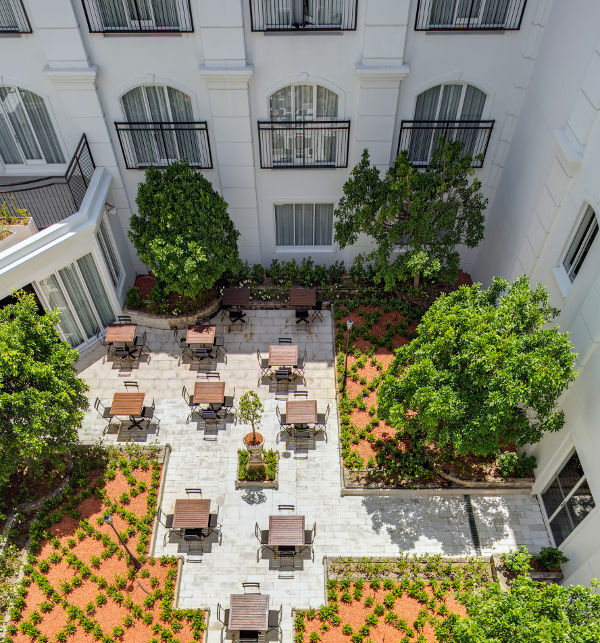 In just the few months since it opened its doors, this gorgeous hotel, nestled in Sydney’s picturesque Double Bay, has entrenched itself as the perfect base for a family getaway. 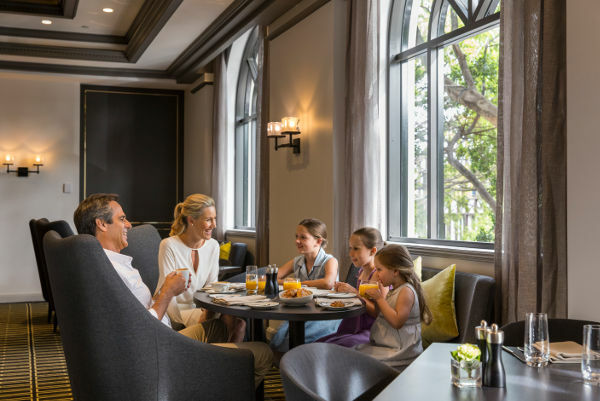 From well-appointed suites to a children’s menu developed by a celebrity chef and children’s food expert Annabel Karmel, it’s a family haven. The call of the city can be incredibly loud when travelling to Sydney – but that noise isn’t always conducive to a restful family stay. 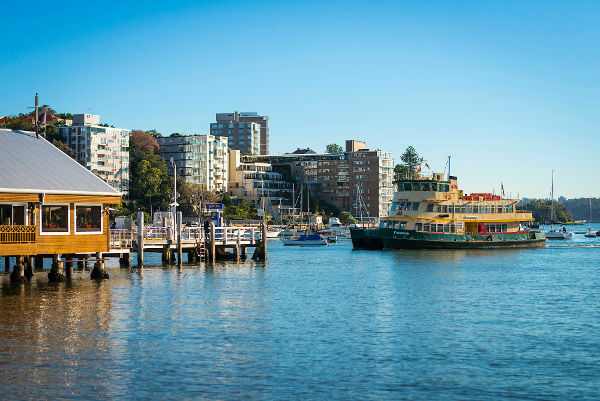 So why not enjoy the sights of the city by day, and venture to the quieter Double Bay to recharge your batteries? 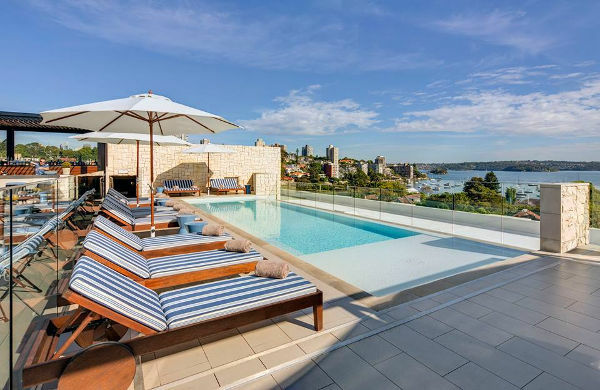 The InterContinental Double Bay Sydney opened late last year, as the only five-star, luxury hotel outside of the city. 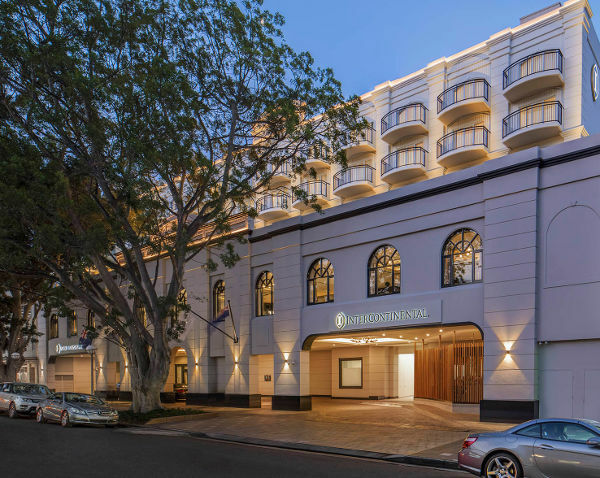 A multimillion dollar transformation of the former Ritz-Carlton Hotel building resulted in a 140 room, 15 suite stunner in prestigious Double Bay. 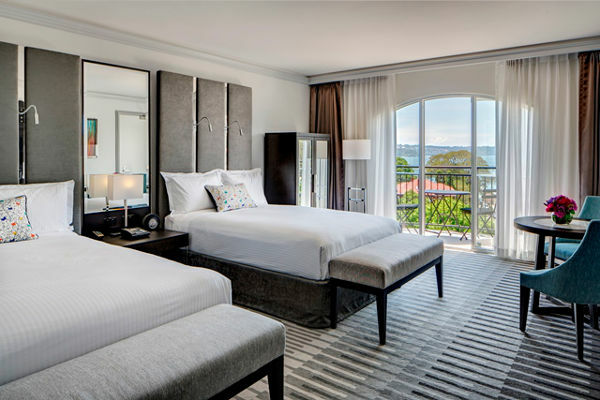 The InterContinental Double Bay prides itself on being a family-friendly hotel – from spacious guest rooms, to interconnecting suites for larger families. The rooms have double vanities and separate baths which is great for families, and there are also cots and rollaway beds available on request. And if the kids needs a rest, but mum and dad are still keen to explore, babysitting can be arranged. The Stockroom restaurant caters beautifully for children, both in atmosphere and on the menu. There are cosy nooks and comfortable, sofa-style furniture to make the kids feel right at home. And the menu has been created by award-winning celebrity chef chef Theo Randall and children’s food expert and author Annabel Karmel. The kids can indulge in treats like Crunchy Veges and Hummus Dip and Wok and Roll Pad Thai. The Rooftop Pool and Lounge also ensures that younger guests are happy, with a shallow end to the infinity pool, and private cabanas to create the perfect space for a chilled afternoon. Just a short stroll away the family can soak up the village atmosphere that is Double Bay, with shops, cafes and the beach. Bookings can be made directly through InterContinental Double Bay Sydney.